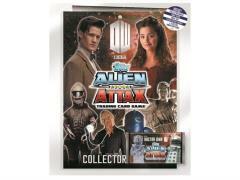 Topps Alien Attax brings to life the action and excitement of Doctor Who. 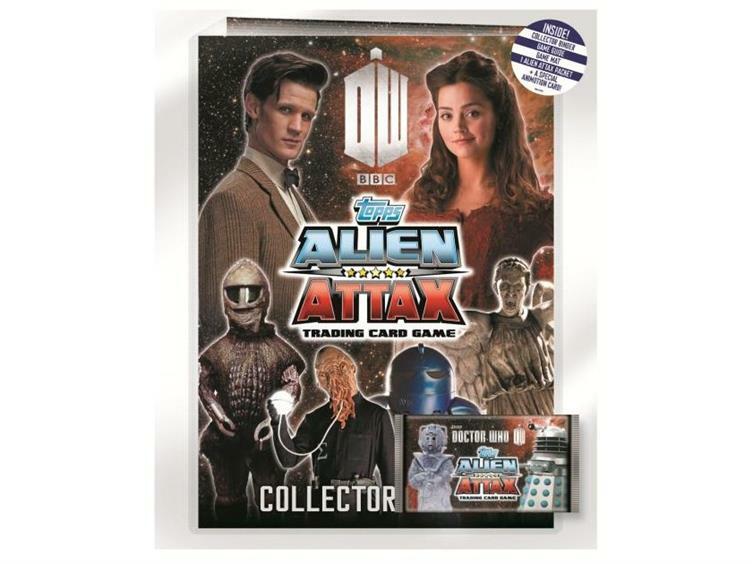 Featuring a host of aliens and companions from the 50 years of Doctor Who, plus all eleven incarnations of the Doctor, this really is a must have for all Doctor Who fans. Place your order on this fantastic product now. Starter Pack includes: Collector Binder, Game Guide. Game Mat, 1 x Alien Attax packet (9 cards per packet), 1 x animotion card.